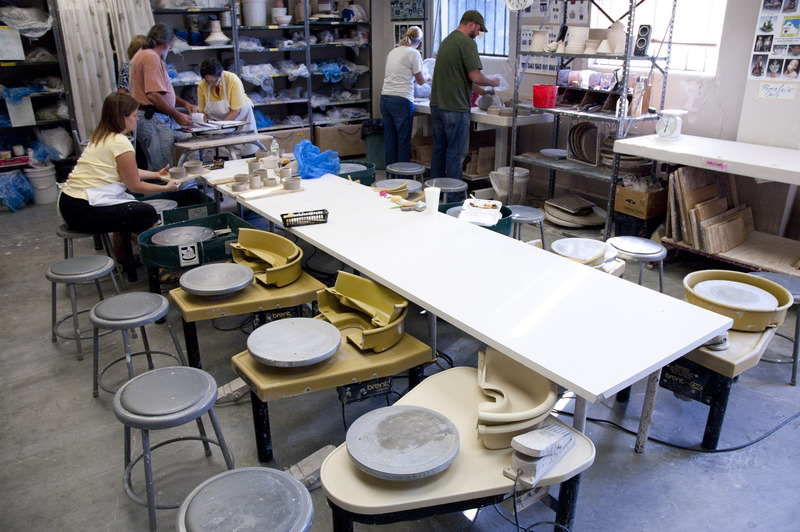 The KC Clay Guild studio is well equipped. 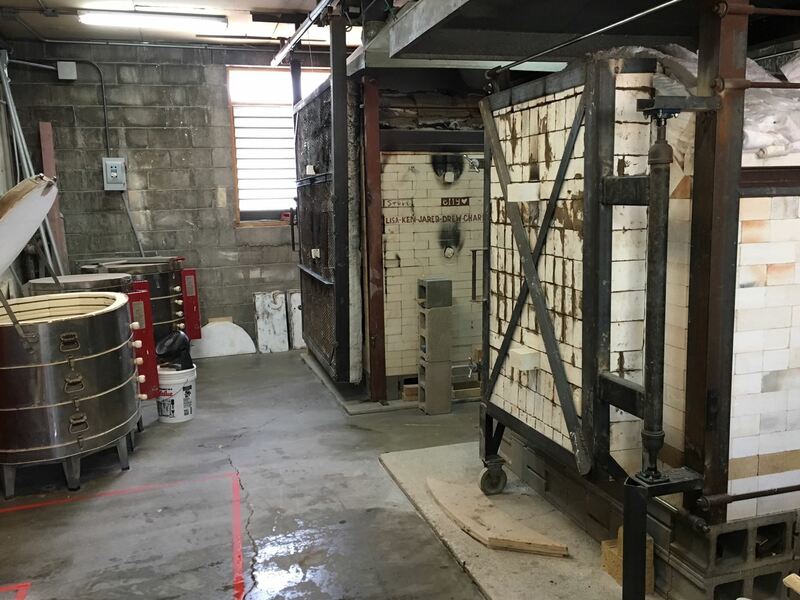 We have 25 potter's wheels, a large slab roller, an extruder with many dies, many molds and stamps, spray booth and spray guns, 3 computerized electric kilns, a small electric test kiln, a large downdraft gas kiln, a medium downdraft gas kiln, raku kilns, and a Soldner clay mixer. KCCG has a handful of private studios and large shelves for rent. Contact us for availability and details.